The 10 Best Corn Mazes in New Hampshire! Fall in the Granite State brings with it exciting opportunities to spend time outside, enjoying a few last hurrahs before winter sets in. A favorite activity for both young and old is making one’s way around a corn maze. Some families host reunions based around such mazes, meeting up for an adventure the whole group can share. 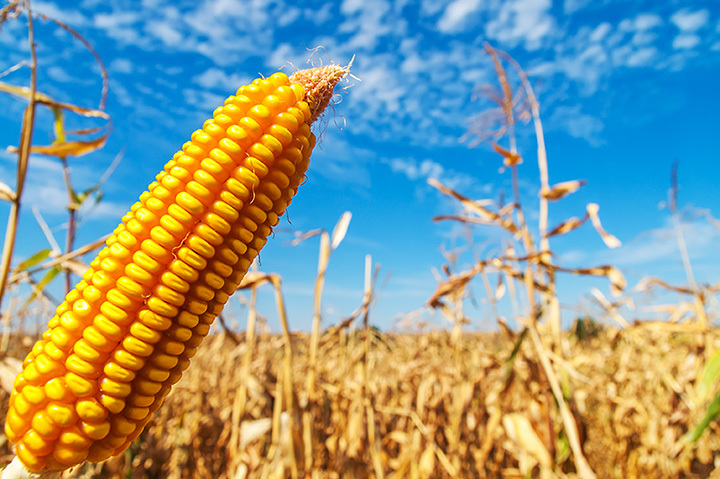 The following corn mazes are the best in New Hampshire. Plan an adventure with your family and friends and see how long it takes you to make it through the maze. Featuring both a day maze and a nighttime maze on Friday and Saturday evenings, Beans and Greens Farm prides itself in being one of the most difficult corn mazes in the state. Open from mid-September through the end of October (always call to be sure, as weather can shorten or extend the life of mazes no matter where they are located), the corn maze offers miles of fun and even a bridge. The corn maze at the Moulton Farm opens for the season in mid-September. According to popular opinion, this is the most kid-friendly corn maze in all of the Granite State. They also feature a small maze, which is perfect for small kids, and a raised picnic area if parents want to sit and relax while their kids play in the maze. Open Labor Day Weekend through October, the corn maze at Scamman Farm is made up of six acres of 12-foot high paths, designed to challenge those who dare to find their way out again. On Friday nights throughout October, the maze gets spooky. The farm hosts a different activity or event each weekend, so there’s always more than the corn maze to explore. Lavoie’s Farm presents the Dark Crop, a haunted corn maze definitely not for the faint of heart. It will be open for eight nights in October. Gates open at 7:30 p.m., with the last tickets sold at 10 p.m.
Visit the corn maze at Coppal House Farm for a fun, family-friendly activity. Opening Labor Day Weekend and running through early November, the maze is open Monday through Friday from 12-5 p.m. and Saturdays and Sundays from 10-5 p.m. Their Flashlight Maze will be held on three dates this fall—visit their website for more information on those dates! A new artist will design the corn maze this year at Riverview Farm. Artist Emily Zea is the new designer. The farm is open through October from 10-5 p.m. Specific hours for this year’s maze haven’t yet been post (if they vary from regular farm hours) so calling ahead (603-298-8519) of your visit is probably a good idea. The corn maze at Sherman Farm Market will be open on weekends from mid-September through early November.. The labyrinth is guaranteed to confuse even the most avid puzzle solvers. Lots of games within the maze ensure lots of family fun. Be sure to visit all 12 acres of excitement and old fashioned family time. The corn maze at the Emery Farm opens in early September each year. Call the farm for specific dates and times. While there, be sure to visit the pumpkin patch and the petting zoo. The donkeys and goats are gentle and love the attention their receive. The farm store is full of fresh produce and a variety of locally made goods. The corn maze at Washburn’s Windy Hill Orchard will be held from mid-September through the end of October. The orchard is open seven days a week from 10-6 p.m. Be sure to check out the home baked goods and other treats at the farm store while you’re there. The corn maze at Tendercrop Farm will be open from September to the end of October. Visit any time from 9 a.m. to 7 p.m. Each weekend there are different events planned, too, including barbecues, hayrides, live music and more. Be sure to visit the store and try their apple cider donuts. They are almost too good to be true! View more New Hampshire Corn Mazes.